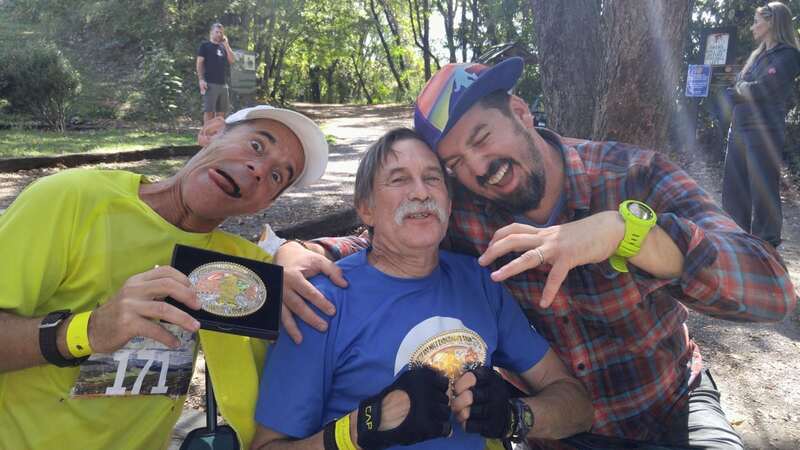 Tom Green sent this reply to someone asking advice for an upcoming race, reminding them to both enjoy the day and learn a bit about why their fellow runners were also on the trail. If you were to see a runner arrive at the finish line minutes before the cutoff, gripping a baby jogger as tears stream down his face, what do you think that runner’s story is? You could say that Tom Green’s story started when he became the first finisher of the race series we now call The Grand Slam of Ultrarunning. You could also say that his story begins long before that. We have to start somewhere, so we’ll begin where ultrarunning really took hold of Tom. 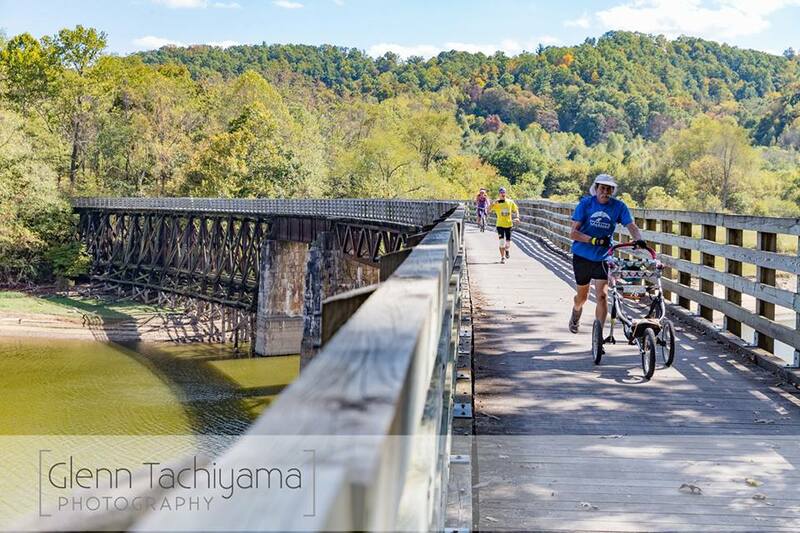 For the first Grand Slam of Ultrarunning series in 1986, it started with the Old Dominion 100 Mile in Virginia. 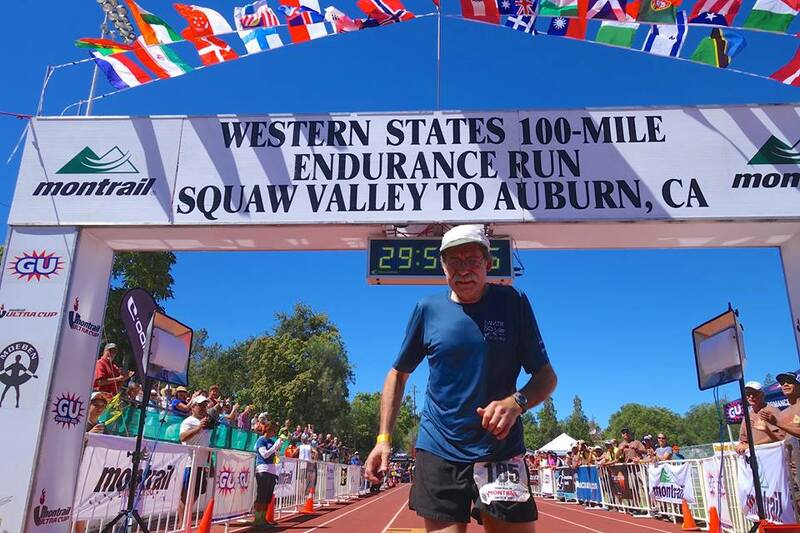 Then, the Western States 100 took place in late June in Olympic Valley, California. Leadville Trail 100 Mile in Colorado was run in mid-August before the final race, Wasatch Front 100 Mile, which was in early September in Utah. The quest encompassed the four oldest 100-mile races in the U.S. 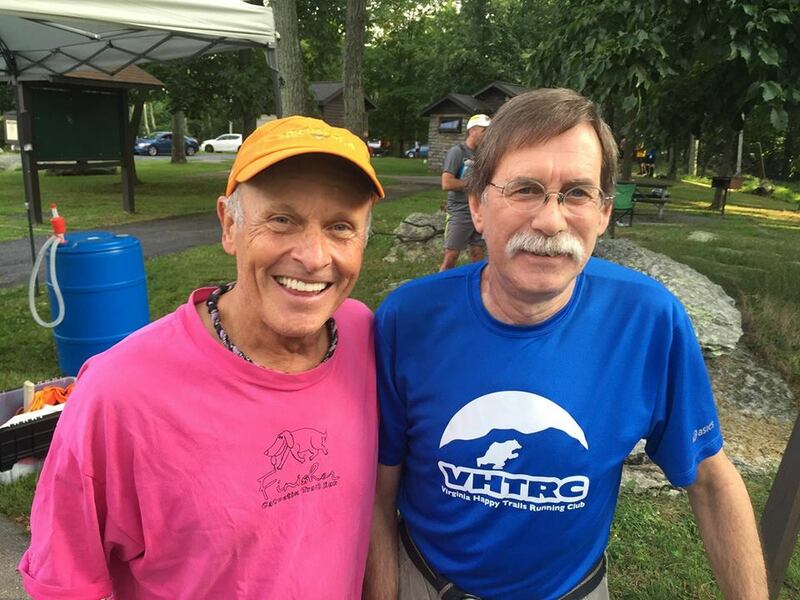 According to Stan Jensen of the Run 100s website, in 1989, the Vermont 100 Mile became an alternate to Old Dominion, as it is also one of the oldest 100 milers. And from 2003 through 2015, Old Dominion was not allowed to be a part of the series. In 2008, due to fires, Western States was cancelled and Arkansas Traveller 100 Mile was its replacement. For 2017, Old Dominion was added back to the Grand Slam. The modern slam requires a runner to finish three among the first four races of the year, Old Dominion, Western States, Vermont, and Leadville. And then all runners must run Wasatch as their fourth race. Over the past few years, about a dozen people begin the year ready to be a slammer. From 1986 to 2017 there have been 345 finishers. Tom Green was finisher #1. 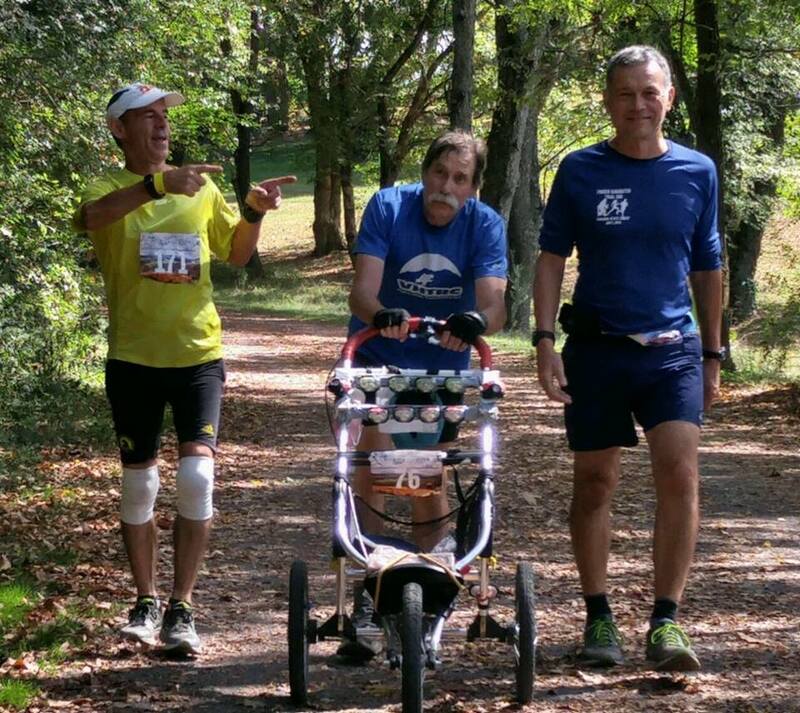 Tom, now 67, was 35 years old when he set out to run the four oldest 100 milers in a single year. He finished all four in a combined time of 96 hours, 26 minutes, and 28 seconds. He ran all 400 miles in a single pair of shoes, with his wife Kay on the sidelines, and a growing group of admiring fans. 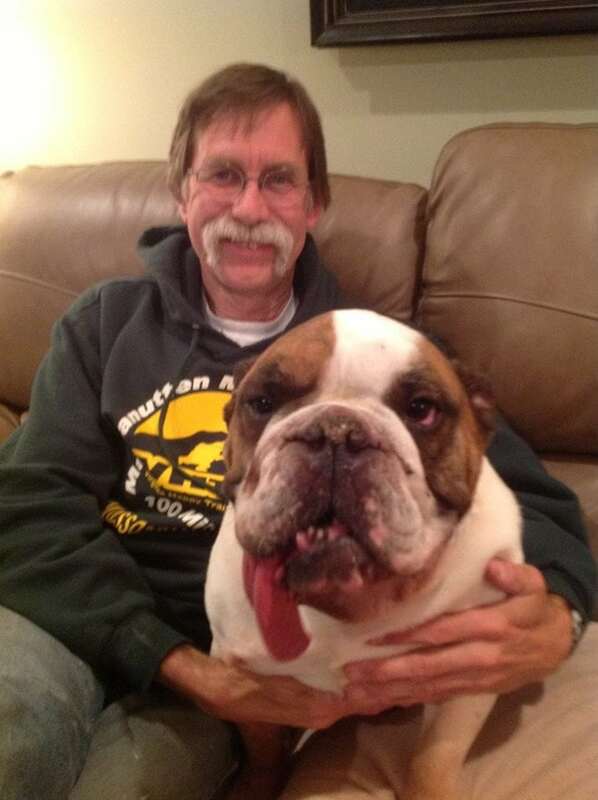 Tom and one of his many bulldogs. All photos courtesy of Tom and Kay Green unless otherwise noted. He is known as the original Grand Slammer. It is now known that it was Fred Pilon of UltraRunning Magazine who had the idea back in 1985 to run all four 100 milers in one year. Tom was reading an article in which the author had run all four of the 100-mile races over the years and had compared them. While reading, Tom said the idea to run all four of them in one year popped into his head, and it was a few weeks later that he heard about Pilon’s public announcement. More people began to join the fray of planning. Tom running the Clyde’s 10k about 30 years ago. At this point in his running career, Tom had been attempting ultras for a year, and had DNFed two out of the three 100 milers he had started. Looking at the challenge ahead of him, he began to feel doubt and discouragement. He figured it would be the others who would complete the challenge and him not finishing yet another 100 miler. As it turned out, he said with the hint of a chuckle, after the first of the four races, the Old Dominion, there were only six of the original 12 who started, and after the second race, Tom was the only runner left standing. Tom, now living in Columbia, Maryland with Kay, was born and raised in Woodstock, Illinois, the town where the movie “Groundhog Day” was filmed. He left the quaint little town to head to Concord University in West Virginia to major in General Studies and run. Entering high school, he had big dreams of becoming a star football player like his older brother. Instead, his four years on the cross-country and track teams were good enough to grant him a decent pick of colleges, choosing to be a vital member of a smaller team. After college, Tom ran leisurely, but it wasn’t long before he read about a local 10k coming up in his town. Tom and friend Gary Knipling during a Thanksgiving event in 2016. He went through the 10ks, half marathons, and marathons until he found that times were getting predictable and he was ready for something different. It was an article in Running Times magazine where Tom first heard about ultras, and seeing pictures of happy, middle-aged, amateur racers complete Old Dominion, he was suckered in. 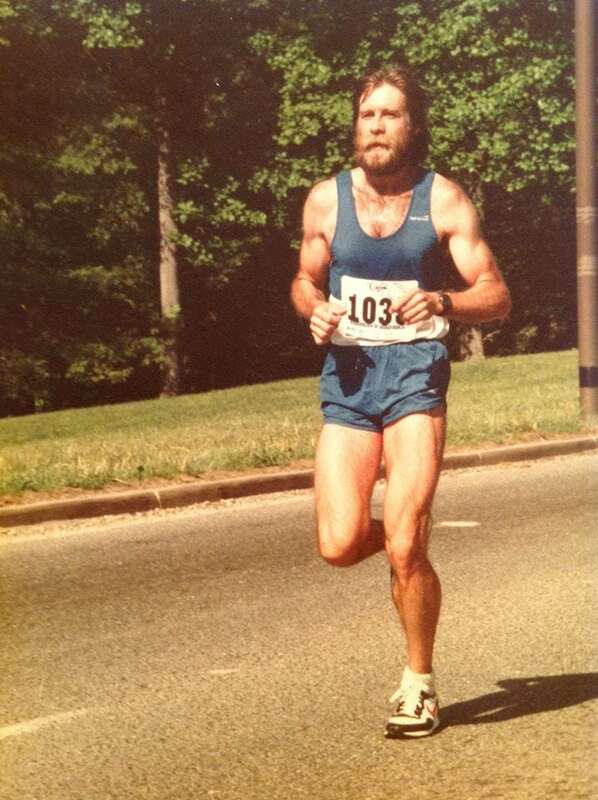 It was in the mid-1980s when Tom entered his first 100-mile race–because he did not yet know there was anything shorter–Old Dominion. Two months before the race, Tom called up the race director, asking if he could get into the event. So, without any prior experience running trail races and following ribbons, or even running a race of that distance, Tom admits he really had no idea how to run his first 100 miler. 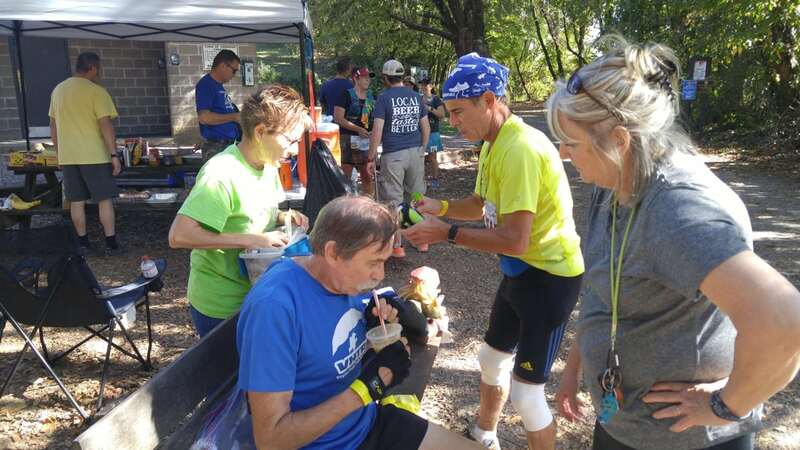 Aid-station medics and volunteers recommended that he call it a day at 60 miles due to dehydration, and for the next few days following, Tom said he had no interest in giving it another try. But of course, that quickly changed. Except this year, he hadn’t gotten lost. So, when he came into the 60-mile aid station, he was two hours ahead of last year’s schedule. It was here that another crew member for a runner offered to help Kay in crewing and getting Tom to the finish line. “Together they talked me into just taking it one aid station at a time and eventually managed to get me to the finish line,” he said. He finished just under the 24-hour cutoff. That was 1984. With a successful 100-mile finish, Tom felt really good about returning the next year, in 1985. However, he ended up dropping just a bit further than 60 miles. By the finish of the 1986 Western States, the second race of the first-ever Grand Slam, Tom was the only one still going in the quest to complete the slam. And by the third race, Leadville, Tom had attracted a large group of followers watching him attempt what no one had done before. According to Tom, that year was the easiest Old Dominion race yet and Western States was a bit more difficult, though he was still able to come in under 24 hours. He finished in just over 25 hours. When he lined up for Wasatch, there were even more fans, the Wasatch race director included, who were rooting for Tom to finish. With the 36-hour limit, Tom had no worries about finishing. Looking back on it, it is hard to compare them to each other since they all contain such different qualities. For each race, Kay was at his side, crewing and cheering him on, even at the finish of Wasatch, which happened to be the date of their anniversary. Yes, for the next 30 years, Tom ran races of all distances, yet that first year after the Grand Slam, he had trouble running much at all. Typically, he ran four to five days a week and no more than 50 miles a week. Even when training for the Grand Slam year, the only thing he changed for training was to stay more in shape during the winter, rather than take a break in the cold months. But he had trouble picking up where he left off. Over the next few years, Tom would intentionally not do the Grand Slam again. He would finish two or three of the big races and purposefully not run the fourth, leaving the next step–to repeat the Grand Slam–for another runner. “I just wanted to do it once and leave it at that,” he said. Tom continued to race different 100s until he developed an Achilles issue and was forced to take an eight-year drought of no 100-mile finishes. It was either stop running or have Achilles reconstruction surgery. After a long recovery from that, he was able to resume his 100-mile races. The Achilles surgery was in 2008 and he returned to running within a few months. Seven years later, Tom once again suffered from an injury that cost him much more than a few lost miles. On April 20th, 2015, Tom was hit in the back of a head by a large tree branch during a freak accident that almost killed him. 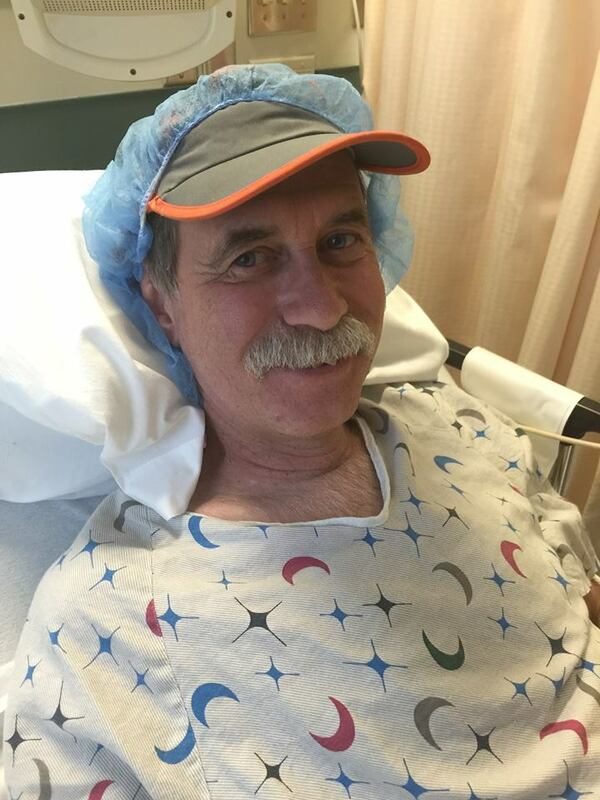 Recovering in the hospital in 2015. He and friend Alan Doss were working out in his yard, replacing a fence. They happened to take a few minutes from their work to cut down a tree branch that had been brushing the side of his roof and chewing up shingles. The duo broke away the branch and either because the branch was curved or it hit a part of uneven ground, the heavier side of the tree hit the ground and forced the opposite end up. Tom spent nearly two months in a hospital bed and another three months in a wheelchair. He suffered skull fractures, and with the destruction of his inner ear, he had hearing loss. He damaged a major artery and blood clots triggered a stroke, which resulted in balance issues. Tom was forced to relearn how to walk, and the stroke affected his right side so that he couldn’t move his right arm for a month. Today, the use of his right arm and leg is still weakened. The realization that he probably would never run again did not truly hit him for a while, since he was focused more on just getting his feet to take a few steps before someone had to catch him. “It was apparent I would never be running like I used to,” he said. After he was released from the hospital, Tom started his long road of recovery with a three-pronged walker, making it from his driveway to the neighbor’s house and back. Then after a few days it was to the second mailbox and back. Then the third and back, and so on. It would be two months before Tom could walk an entire mile, and during that time he realized he needed something that would be easier and faster to walk with. He tried out a walker with wheels, but quickly switched to a baby jogger, which allowed him to turn walking into jogging. By the fall of 2015, Tom was jogging enough to aim for yet another lofty goal. He wanted to race another ultramarathon. He managed to finish more than a 50k during a timed 24-hour event, so the next year he upped it to 50 miles. 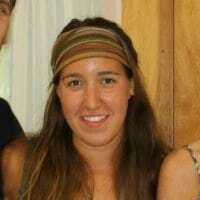 “I thought, If I can do a 50-mile race at sub-30-hour pace, maybe I can condition myself to finish 100 miles. That’s what I set my goals on,” he said. 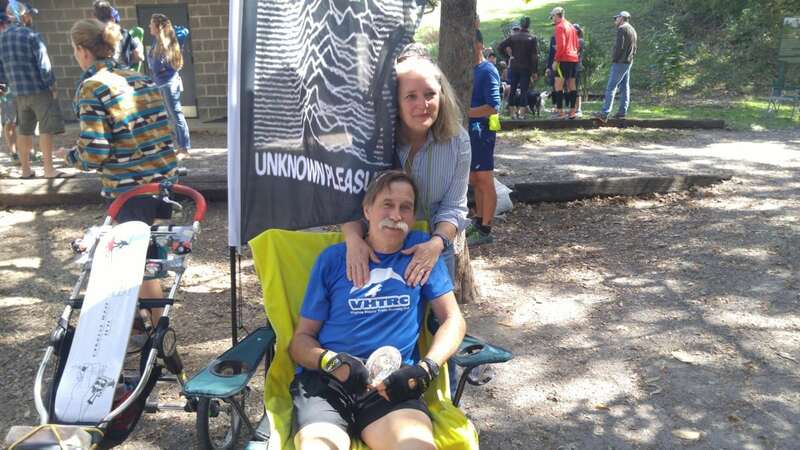 Tom entered two races: first, the Yeti 100 Mile in the fall of 2017 and the other, the 2018 Umstead 100 Mile, in hopes that he would finish at least one. It just so happens that he already has. 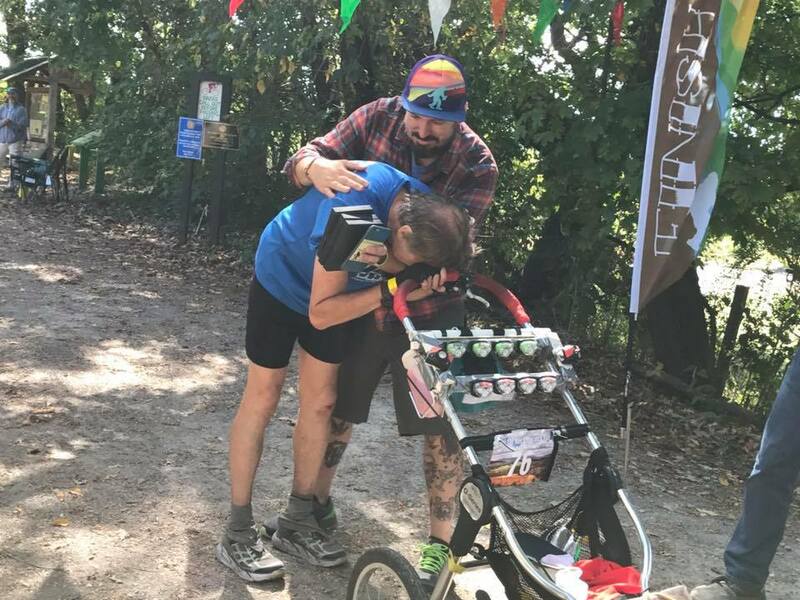 Tom came to the finish line of the 2017 Yeti 100 Mile after 29 hours and 46 minutes of walking and jogging with the baby jogger, crossing in a wave of emotions and relief. With the help of a friends Charlie Romanello and Alan, and his wife, Tom was able to make every cutoff. Romanello actually flew out from California to run his first ultra with Tom after hearing about his friend’s goal. According to Romanello, Tom “the machine” never complained even during the night, when his lack of balance caused the most difficulty for him. As the miles ticked by, Romanello said it was never a question of whether he would finish, it was when, as they focused on making each cutoff. There was applause and tears from fans, both those that knew about Tom’s long journey of recovery and those who did not. He came in just minutes from the final cutoff, as Tom is apt to do. For him, crossing that finish line was an experience beyond description. He also just wanted to cross the finish line at one more 100-mile race. Race director Jason Green caught that emotion on video and when it comes to his friend, there are only two words to describe him: grit and determination. Tom has accepted that his incredible Yeti finish may be the last 100-mile race. However, he is still signed up for next spring’s Umstead 100 Mile, making that race either his last 100 or last 100-mile attempt. Tom’s life can be easily described as a rollercoaster of ups and downs and highs and lows, yet his drive and outlook on life never wavers. Now, with more than three decades gone by since the inaugural Grand Slam, many people are lining up to seek the veteran’s advice for their own running goals. When one new ultrarunner left a message on Tom’s Facebook page about how to prepare for his first ultra, Tom quickly responded back. By golly, does Tom Green have a story! Alright, here we go. It’s story time! Did you follow that first Grand Slam of Ultrarunning? Have you run with Tom at his many more than 200 ultramarathons over the years? Have you crewed at a race with Kay? Leave a comment to share your Tom and Kay Green stories. I first heard about Tom when I came across news of his accident which included the information about his Grand Slam first. There was a go fund me page and I made a contribution. In 2016, I was running Umstead. I was looking around in the dark for a place to put my drop bag and saw a parking spot reserved for him! I was so surprised and happy to see this and then I saw him out on the course a few times. It was pretty incredible. Thanks for this write up and a chance to learn more about Tom. I remember Tom beating me for the over 50 title at Mountain Masochist many years ago! I know we always say this…but Tom is one of the nicest and humble guys I know…congrats on your Yet I finish, Tom! Another well written, classy piece from IRunFar. Well done, everybody. Not very well written but glad to see Tom getting some spotlight, dim as it is. Trail Runner, as editor, I’m sorry you think the article is poorly written. I do find it unfortunate that you’ve chosen to share your opinion deconstructively. I am all ears to constructive criticism, offerings of how to improve what we do. Feel free to comment with any ideas or contact us privately using our contact form, https://www.irunfar.com/contact. I hope you can know that while we may be imperfect here at iRunFar, we are always trying hard. Thank you. Great article, I enjoyed it a lot! What an inspirational story! Great story, very inspirational, made my day. Oh my gosh – it IS him! I ran about 2-3 miles with him in the Rosaryville 50K this past November. I was running alone far in the back (I’m very slow) and an older guy came up behind me and started chatting about ultras. He casually mentioned that he had done quite a few including about fifty 100-milers. Huh? I almost didn’t believe him. He also talked about coming back from a terrible injury. So encouraging, humble, and inspiring!